Old Market Square, nestled in the heart of Winnipeg’s Exchange District, is a pivotal destination and gathering place for the city. The Master Plan redevelopment features a stylish and functional performance space, beautifully developed common gathering areas and an oasis of green. Old Market Square demonstrates a high standard of quality urban design that puts people first and respects both the historical and cultural context. The redevelopment of Old Market Square is a national and international model for developing a public space within an historic heritage district. 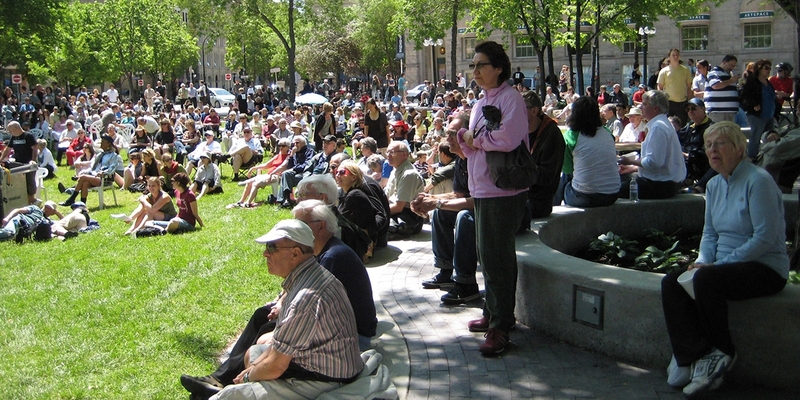 The square has become the venue for some of Winnipeg’s most successful festivals, including Winnipeg Fringe Festival and Winnipeg Jazz Festival. Site elements are designed to be flexible in order to accommodate a variety of uses and events. This design has brought a renewed life into the park with the addition of a serpentine feature seating wall, surrounding a sunken event lawn. Seat-wall planters encircle the existing large elm trees that surround the park, and they will protect and extend the lives of these majestic trees. 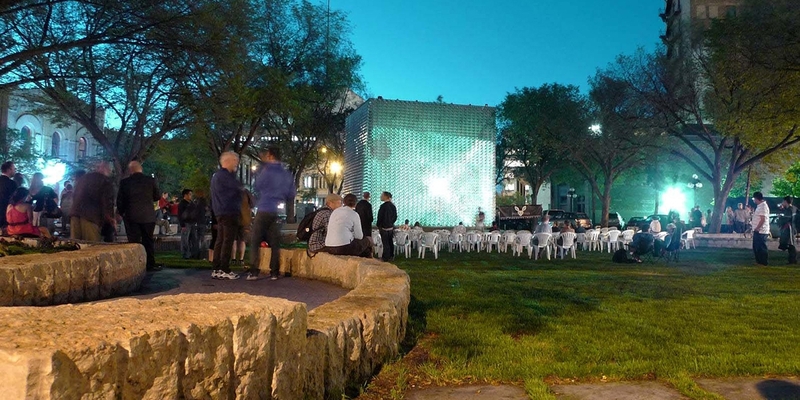 A large limestone planter provides a different vantage point to the stage and offers a more intimate gathering space within the park.